What’s It About? Set in the 60s among the beautiful backdrops of Athens, Crete and Istanbul, The Two Faces of January tells the story of Rydal (Oscar Isaac), an American con artist working in Greece as a tour guide, where he meets glamorous American couple Chester and Collette MacFarland (Viggo Mortensen and Kirsten Dunst). After finding himself in the wrong place at the wrong time, Rydal ends up entangled in the couple’s lives and it soon becomes apparent that he is not the only con artist around. Verdict: First and foremost, The Two Faces of January is visually stunning. Not only do the sunny villages and ruins of Greece provide the film with beautiful scenery, but the 6os era makes way for a subtle yet time-appropriate costuming, and the entire tone of the film feels very traditional of the classic film noir genre. The story itself is fascinating from the offset; the concept of both leading men being a little on the shifty side makes for an interesting watch as you’re never sure who you can trust or who is telling the truth. For example, upon meeting the couple Rydal says that he was drawn to them due to Chester reminding him of his father, however, is this just a ploy to get closer to Chester’s beautiful wife? Perfectly paced by Hossein Amini in his directorial debut, as the story unravels so do the characters with Chester becoming increasingly paranoid of Rydal’s intentions which ironically leads to him to destroy everything that he loves. On the other hand, Rydal’s increased wariness of the unstable Chester leaves him more and more desperate to find a way out of the mess that he has somehow found himself involved in. Whilst Dunst and Mortensen each give incredibly strong performances as the MacFarlands, it is Oscar Isaac who steals the show as Rydal. Commanding the screen with charm and charisma, Isaac adds to the film’s noir style with a presence uncannily similar to that of the leading men from old Hollywood classics of yesteryear, cementing his position as an up-and-coming actor to watch. The cast have a brilliant on-screen chemistry and every aspect of their very complex relationships was riveting and believable to watch. Their understated performances were just as engrossing as the underlying tension and intrigue of the story. Unpredictable from start to finish, The Two Faces of January provides a nostalgic look at cinema with timeless performances, backdrops and costumes that makes the film seem fresh and innovative despite being set over 50 years ago. Final Words: The Two Faces of January will quickly become a timeless classic in the thriller genre, with a great story and impeccable pacing leaving you unable to guess what the next scene will bring. 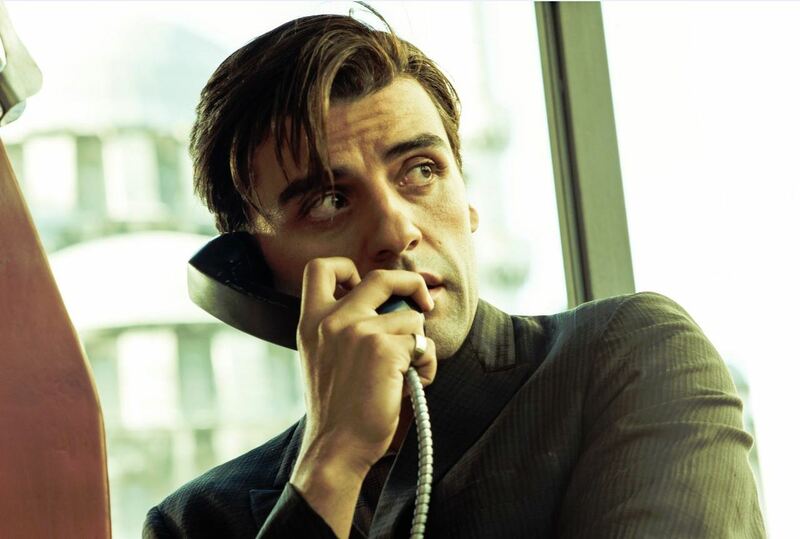 Strong performances all round create a chemistry that transcends through the screen and into the hearts of the audience with Oscar Isaac proving himself yet again as a leading man and firmly announcing himself as a bold new face of cinema.